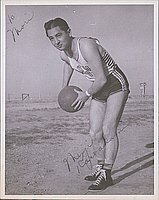 1 b&w; photograph of a basketball player in basketball uniform. 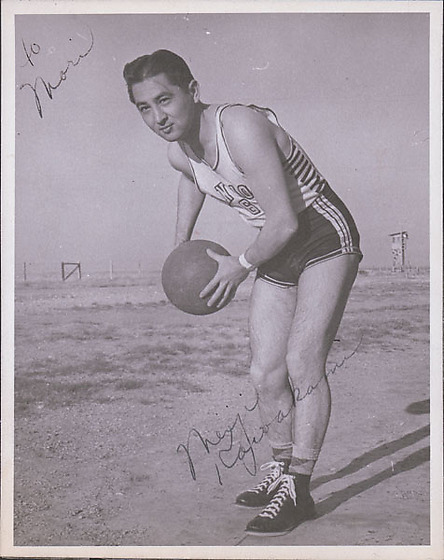 Young man is posing, holding a basketball. He is bending at waist, dribble stance. Inscription reads: To Mori, Meiji Kawakami. Inscription reads: To Mori, Meiji Kawakami.